Helen Georgia, nestled in the foothills of the Appalachian Mountains, has a story which will entice you as much as its peace and tranquility. In fact, peace and tranquility have been rather sporadic throughout North Georgia’s history. With several industries booming at first and fizzling out later, Helen Georgia and the surrounding area have been on a roller coaster ride of economic highs and lows. From boom town, to flume town, and ultimately to the quaint Alpine village of today; Helen has been resurrected on more than one occasion. It’s no wonder, therefore, that travelers and sightseers often spy remnants of yesteryear along the winding roadsides of the surrounding Blue Ridge Mountains. As the historic remains of nostalgic architecture dot the landscape, the various ancestries of the North Georgia region are echoed in the shadows. And, while Helen Georgia and the surrounding regions have survived on an “in with the new and out with the old” philosophy, they have not forgotten their heritage. Artifacts and antiquities have been preserved, over the years, from both Americana and Native American cultures. Helen and the surrounding North Georgia towns are home to a seemingly infinite number of antique shops. 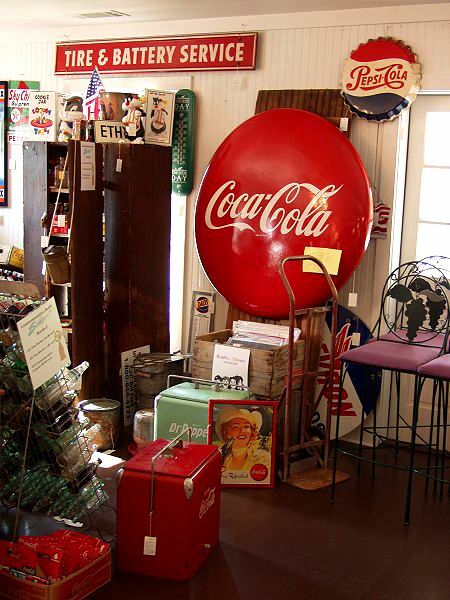 There are authentic shops in vintage buildings, roadside shops with refreshments, backyard shops, and more. With so many antiquing opportunities, over such a vast landscape, it is well advised to do some research if your goal is take a piece of yesteryear home with you tomorrow. To get you started, however, we have recommended some antique destinations below. Located only a half mile south of downtown Helen, Nachoochee Village offers a variety of family friendly activities. In addition to food, coffee, beverages, furniture, pottery, and more, you may also shop for antiques. Nacochee Antiques are housed in a historic, North Georgia home. The old house displays antiques on 3 floors, from various eras, throughout the mountain region’s history. From the large to the very small, you’ll find it all at Nachoochee Village Antiques. But with so much to entice the whole family at Nacoochee Village, don’t expect any bonding on this tour; something a final rendezvous will cure. Located in a restored mill in Clarkesville Georgia, the Artful barn contains a menagerie of things North Georgia. With a multitude of spaces reserved by various vendors, they offer old relics, artifacts, and handcrafted items from the region. You very likely will also find more recent memorabilia or souvenirs, depending on the vendors at the particular time of your visit. In addition to antiques and gift items, regional arts and crafts abound in the Artful Barn. Various galleries are housed throughout the property which may display local pottery, paintings, sculptures, carvings, and more. Passing through this mall will not only heighten your shopping experience, but it will also enhance your cultural experience. 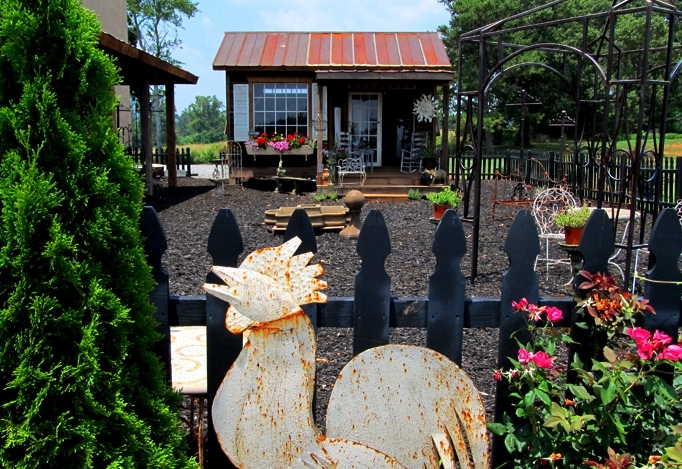 Located in Murrayville, GA, Old School House Antiques is conveniently situated between Cleveland and Dahlonega. With over 13,000 square feet of antiques, furniture, collectibles, crafts, jewelry, and more, even the non-antique buffs can experience the thrill of discovery. Take a stroll down the old school hallways, as you listen to songs from bygone eras. Tune in your senses as you take in the sights, sounds, and aromas. You will find yourself dawdling along as you relax to easygoing ways gone by. Get lost in the spellbinding aura trapped within this old school house’s walls, as you are counted present in the past. Located in Clermont, GA, Iron Accents boasts a 6,000 square foot building to house its wares. And housing it needs, with a vast and varied selection of products including antiques, architectural pieces, primitives, gift items and seasonal floral creations. If you should desire more choices, continue your venture outside, where real treasure hunting was meant to take place. There, you will find the recently created potting shed. This has been an ongoing project in which they acquired authentic items from a North Georgia, old general store from the 1890s. Through recycling, the breath of life has been restored to original wood flooring, windows, and shutters. Vintage accent pieces have been used as-is or reinvented, adding further charm and authenticity to the environment. Check out the potting shed; whether to expand shopping alternatives or just to set a spell and take in the fresh, mountain air. Whether on a quest for a particular item, browsing the inventory, or just window shopping, antiquing in and near Helen Georgia is sure to be an epoch event. 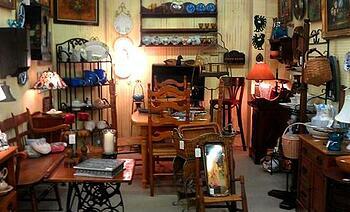 With a vast array of antiquing options, each experience promises to be eye opening. What is the most amazing or unique antiquing experience you have encountered in or around Helen Georgia?